Keep your big kids off their cell phones and computers with engaging board games, crafts, models, and puzzles! Teens will love building very advanced Lego sets and even tougher sets from Nanoblock. Your teen can show off his or her art talents with basic to advanced art supplies from Crayola. Crafters can learn more advanced techniques with books from Klutz. Science buffs can use chemistry sets and physics experiments. All kids can try their hands at board games and word games like Monopoly: Sydney Edition and Bananagrams. 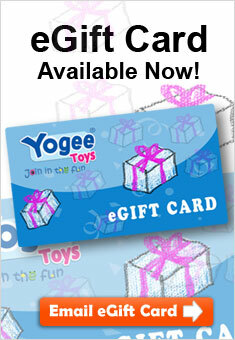 You’re never too old to have fun with Yogee Toys!